In case you missed it Major Lazer dropped their dancehall tinged electronic-dubstyle-esque Free The Universe album back in April earlier this year. The album featured many guests from just about every hip genre including a few from the dancehall arena. Artistes like Vybz Kartel, Leftside, Elephant Man, Shaggy and Bugle were included but one of them stood out among the rest. 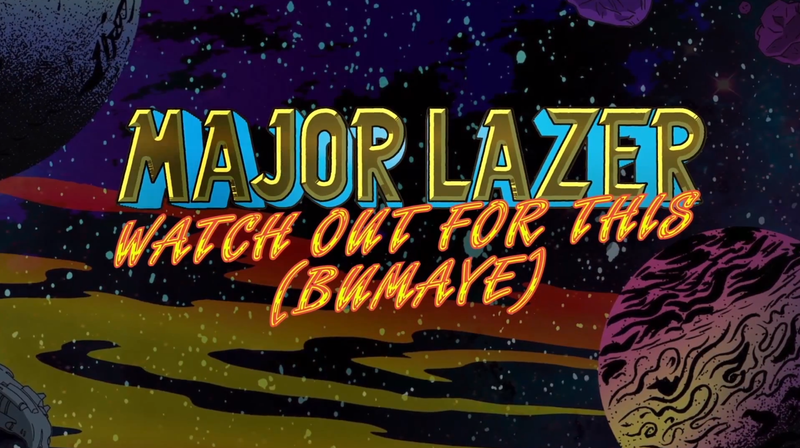 Here’s the mashup between Diplo, Switch, Walshy Fire and the crew with none other than the one Busy Signal in the video for “Watch Out For This (Bumaye)”. The video was produced and shot by Jamaican film director Jay Will (Game Over Films). Check out some behind the scenes footage for the making of the video!